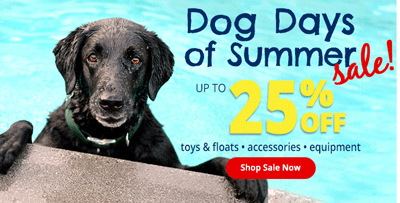 Up to 25% off dog days of summer. Toys & floats, accessories, equipment. 10% off orders over $150. Editor verified. Coupon code working properly. Free Shipping & Handing on orders over $50. Editor verified. Coupon code working properly. $20 off orders over $200. Editor verified. Coupon code working properly. $15 off orders over $75. Editor verified. Coupon code working properly. 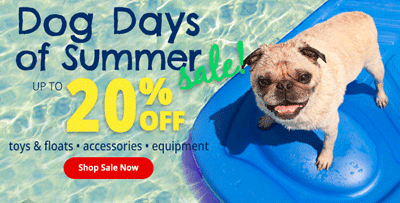 Up to 20% off dog days of summer. Toys & floats, accessories, equipment. 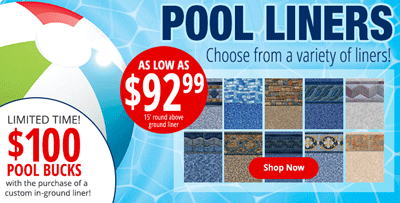 Pool liners as low as $92.99.Choose from a variety of liners! Limited time $100 pool bucks with the purchase of a custom in-ground liner! Up to 35% off End of the Season Sale. No coupon code required. Click link to activate. $10 off orders over $50. Editor verified. Coupon code working properly. 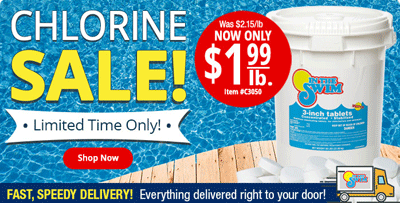 3 Inch Chlorine Tablets now only $1.99/lb. Limited time offer. Get $100 instant rebate + Extra free ultimate winterzing kit on all safety covers. Up to 45% off Clearance. No coupon code required. Click link to activate. Up to 35% off on select solar blankets. No coupon code required. Click link to activate. Up to 25% off select In-Ground Liners. No coupon code required. Click link to activate. Up to 10% off on select winter covers. No coupon code required. Click link to activate. 3-Inch Chlorine Tablets for $2.09. No coupon code required. Click link to activate. In The Swim was founded in 1982 by a husband and wife team. Before long, In The Swim relocated to a larger facility and hired their first employees to answer the phone. As In The Swim’s customers grew in number, so did the product selection.The one constant factor of In The Swim’s growth has been maintaining the highest level of customer satisfaction through its dedication to quality products at the best possible prices and its commitment to the highest level of customer service.